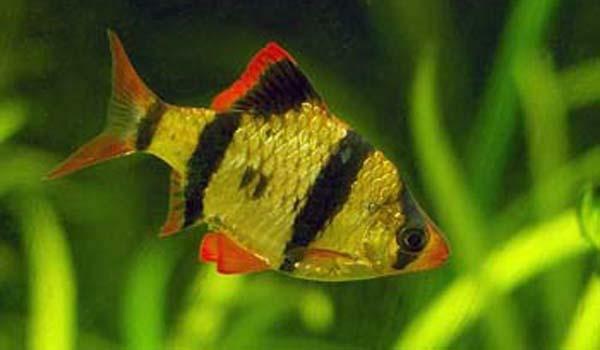 These fish are very popular because of their bold markings and active, showy nature. Tiger barbs are best kept in a school of 6 or more. Do not keep with fish with long flowing fins such as Angels or Guppies, as the barbs may nip their fins. Various colour strains have been developed because of the fish's enduring popularity. Grows to about 6-7cm.